The 12. International Film and Music Festival Kustendorf has ended with awards and closing ceremony in The Damned Yard Theatre. After performances by Svetozar Marković folklore ensamble and Svetlana Spaјić group, Professor Emir Kusturica was awarded by His Royal Heritage Zolani Mkiva and named as Peoples Artist of the Year. 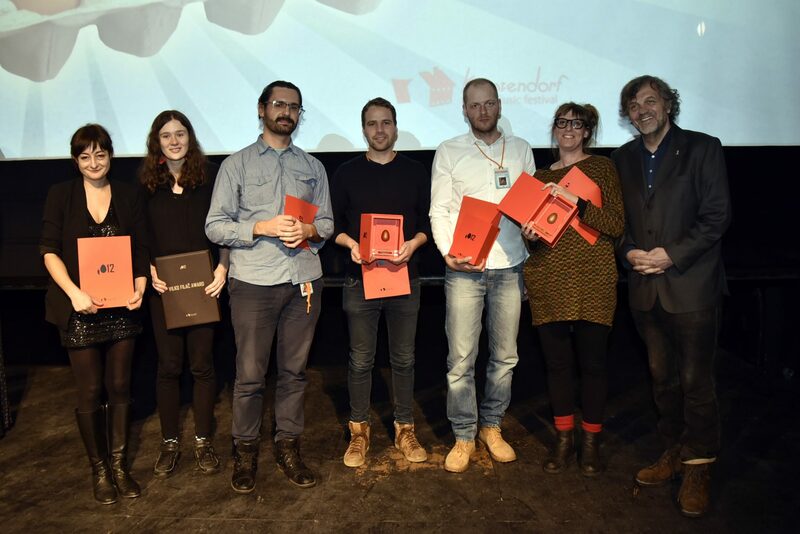 The official Kustendorf awards were then handed to the winners as decided by the jury. Ilaria Di Carlo and Saša Karanović received special mentions for their films The Divine Way and Costacurta. Karanović was singled out for the creative ambition and the challenging insights of a promising filmmaker, while Di Carlo received her award for the choreographic and aesthetic artistry of her film. Vilko Filač Award for Best Cinematography was given to Natalia Pietsch For its strong mood matching perfectly with this overall good movie. And for its arresting combination of production design and lighting complementing its sensitive camera movement in Iwo Kondefer’s I’ve got something for you too. Bronze Egg went to Mikkel Storm Glomstein for the impressive efficiency of its message and the mind opening blow it gives to our human ego. Ognjen Petković received Silver Egg and the Jury praised originality of its universe, quality of direction and the strength of the scenario. Finally, Golden Egg was awarded to Corina Schwingruber Ilić for All Inclusive, while films humour, elegant execution and unexpected take on the planet at this time were the reasoning behind jury’s decision. Kustendorf jury members Stana Katić, Slobodan Despot, Tancrede Ramonet and Michael Amathieu declared that they have decided to reward not only skills and craftsmanship but to acknowledge the understanding of our time, originality and the connection to the zeitgeist.